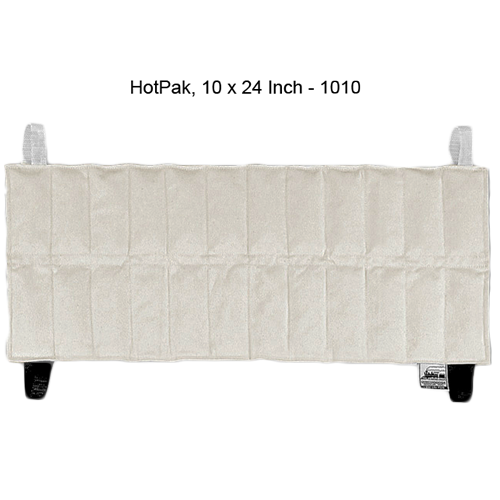 Hydrocollator Moist Hot Packs, manufactured by Chattanooga Group, are natural Heat Packs designed with strong synthetic fibers that are engineered to prevent the growth of mildew while providing the user with moist warmth. 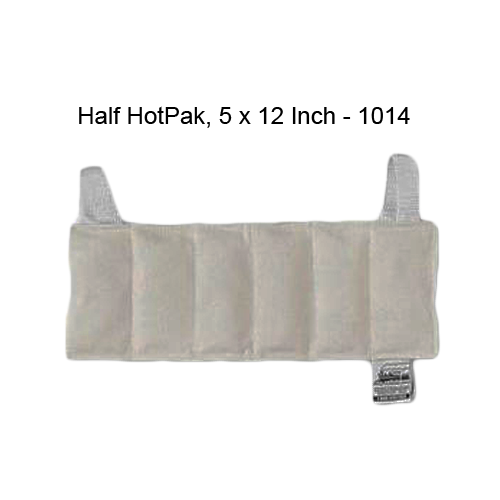 Moist Heat Pads are reusable: the same pad could be used hundreds of times for comforting Pain Relief. 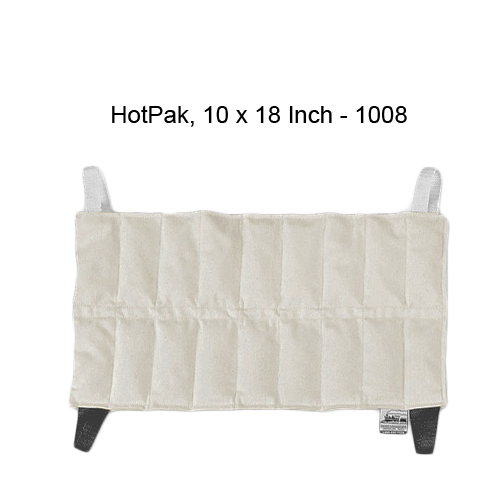 If the heat pad wears out there is a 1 year warranty. 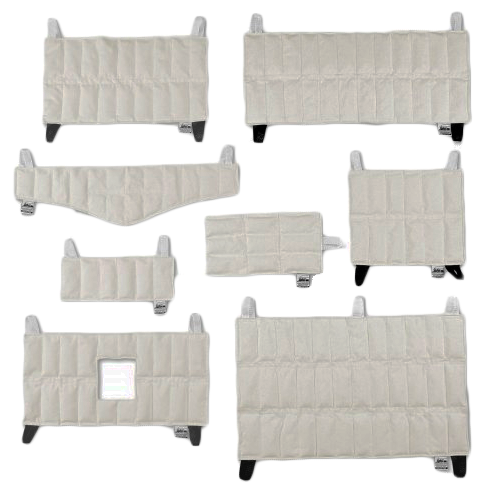 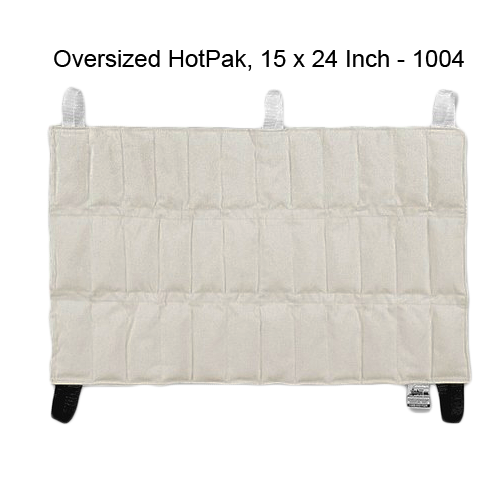 With a variety of sizes and shapes to choose from, there is a hot pad for every need. 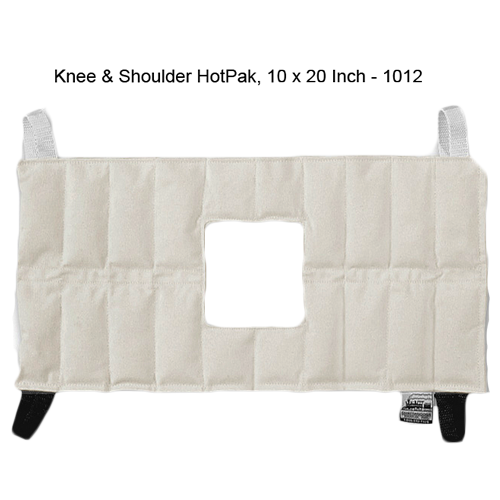 These Heat Therapy pads are perfect for use in clinics, because the convenient tabs allow the pad to be rotated and moved easily. 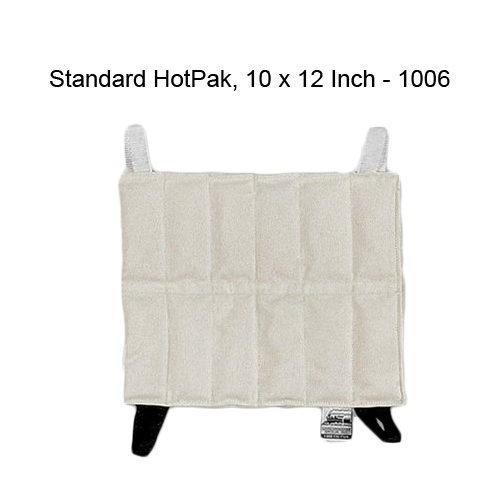 These Heat Packs stay heated for up to 30 minutes and can be reheated as needed. 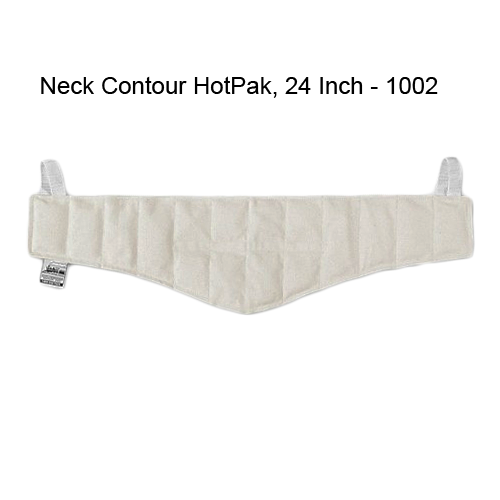 Item Numbers: 1002,1004,1006,1008,1010, 1012, 1014.